After Jackson Oz rescues his best friend, Abraham Kenyatta, from a lion attack in Botswana, Abraham's firsthand account of the attack reveals that the lions are no longer afraid of humans and might be killing for sport. Also, Jamie and Mitch run tests on a lion cub in the Los Angeles Zoo and uncover a link to a chemical made by a biotechnology company, and Chloe Tousignant returns to Paris where she must overcome her own trauma and focus on her work as a government intelligence analyst. 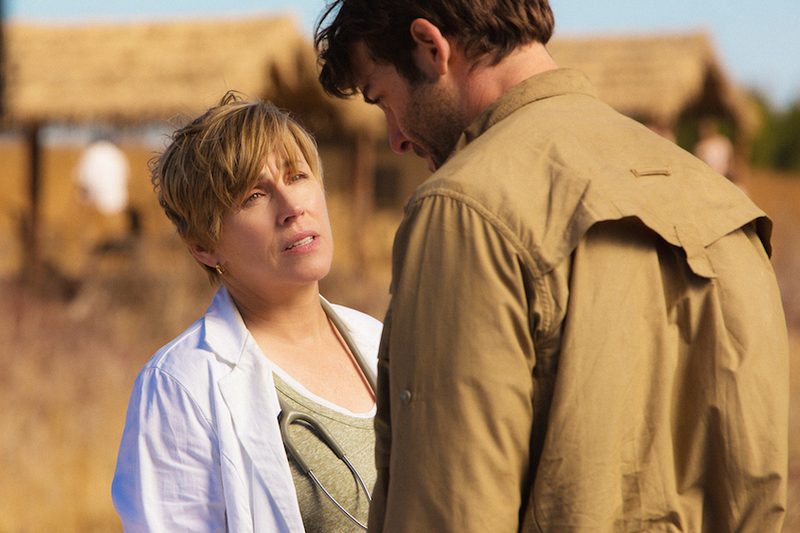 Pictured Bess Armstrong as Elizabeth and James Wolk as Jackson Oz Photo: Hilary Bronwyn Gayle/CBS © 2015 CBS Broadcasting Inc. All Rights Reserved.